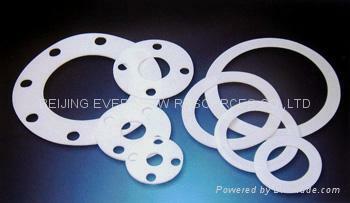 PTFE gasket is manufactured by molding method with PTFE granular resin. PTFE compared with other plastics, has a superior properties against chemicals and temperature. Because of such excellent properties, PTFE has a wide application as a sealing material.